Stephanie Cowan (my Mama!) has been an elementary school teacher for 30+ years. She teaches third grade at an arts magnet school in Pensacola, Florida. Growing up, everything in our home had a place and every day had a routine we tried to stick to. I cherish that simplicity so much now. 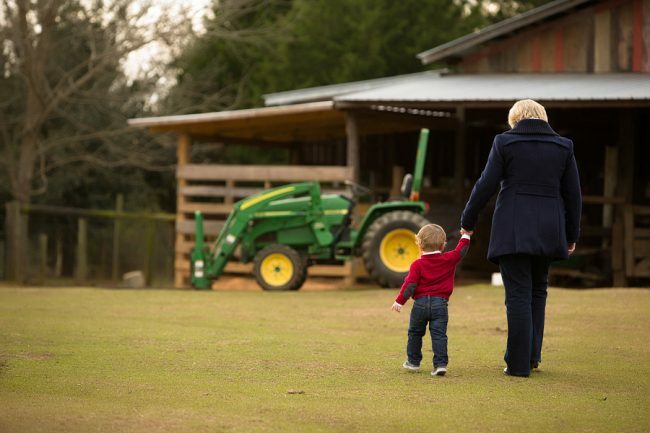 Her dedication to our family and what matters most is why I do what I do – and why those things are so special to me as well. I’m going to make my Mom blush, but one of my favorite things my Mom taught me is the value of tradition. Traditions create a sense of comfort, familiarity and security. My childhood was FULL of fun traditions and even now, when my family gets together, we keep those traditions alive. My favorite? It’s a toss up between candy bars for breakfast the day before school starts or back-to-school shopping at Hello Kitty for matching, personalized supplies. :) So, without further ado… my mom! My Mama loves cooking (that part of her DNA missed me, sadly), gardening and, of course, spending time with the most adorable grandson in the whole wide world. :) Images by Michael Newman Photography. EMILY LEY SIMPLIFIED DATEBOOK: Okay, so I admit she IS my daughter but this Datebook is the greatest thing ever invented! As a teacher, I can keep track of conferences, testing schedules and HOLIDAYS, as well as personal appointments, meal planning, and BRADY VISITS! Everything is all in one place and it can be easily thrown in my purse so I can have it with me at all times. I’m always on top of things when I have my Datebook! I’m blushing, Mama. 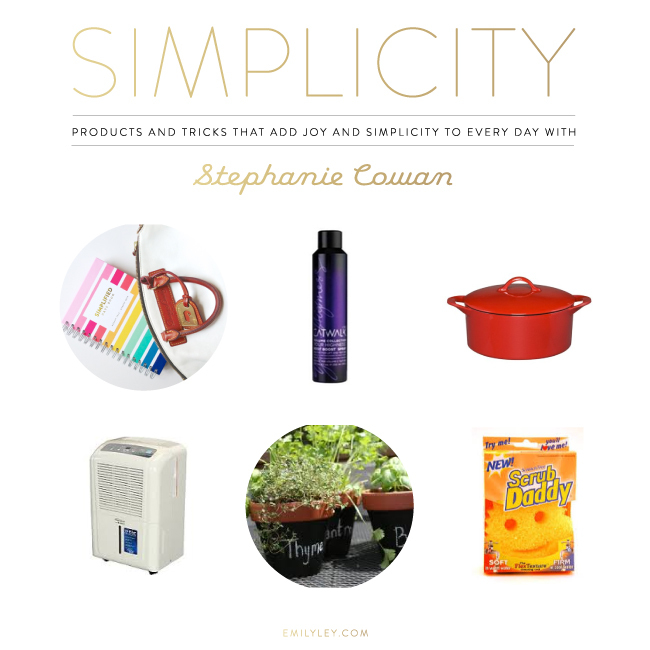 :) My mom’s going to get an advanced copy of our brand new Simplified Planner soon! TIGI CATWALK YOUR HIGHNESS ROOT BOOST SPRAY: I have short hair and live in Florida. The humidity can play havoc with my hair but this adds just enough lift without making my hair feel weighted down with product or cause my scalp to itch. GIADA DE LAURENTIIS CAST IRON DUTCH OVEN: A few years ago my son gave me this for my birthday. I love to cook and I use this pot for everything! You can use it on the stove-top and in the oven. It’s perfect for soups, pot roasts, and my-son-in law’s favorite lasagna sauce! I loved it so much I want back to Target and bought the smaller one to use as well. I totally second this favorite!! My mom and dad gave me this white dutch oven for Christmas a few years ago and I use it every time I cook. LOVE. It’s super easy to clean. DEHUMIDIFIER: As I’ve said we live in Florida and although the beaches are beautiful, I hate the humidity. My husband purchased this without my knowledge. When it first arrived I was skeptical but now I can’t live without it. We keep our thermostat set at 78 and are saving on our electric bill every month. HOME GROWN HERBS: I feel so accomplished seeing my basil, parsley, chives, and rosemary growing on my back porch. I do not have a green thumb, but boy can I grow herbs! We pick up the plants at Lowes or our local farmers’ market, plant in pots, add a little water every week, and watch them grow. People are so impressed to see them growing as well as when I snip them to use in our favorite recipes or to add as a garnish. I haven’t a clue what I’m doing, but don’t tell! SCRUB DADDY: Okay, stop laughing! I thought it was ridiculous too when I first saw it on Shark Tank, but now I love this thing. Yes, it does all the things it says it does, but my favorite is that cheese and other sticky foods don’t stick to it. Everything washes right off. No more dirty scrubby sponges in the kitchen. 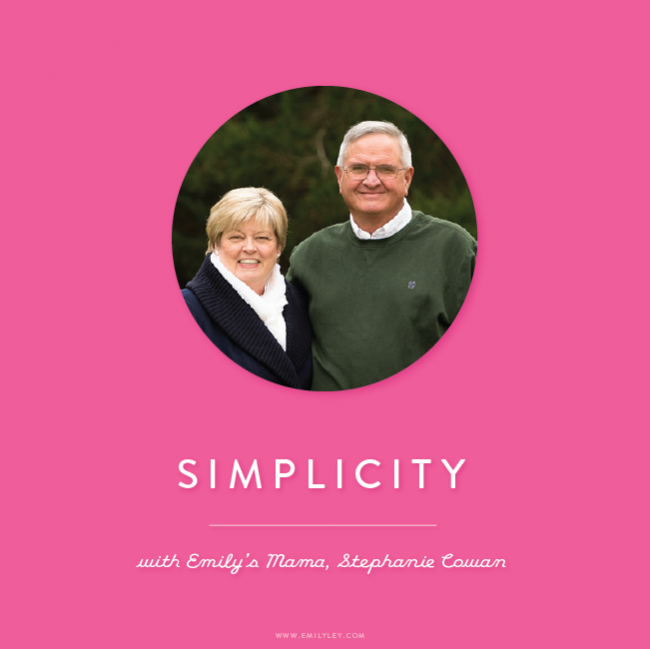 THE SIMPLICITY SERIES features busy gals, in different stages of life, making what matters happen and tips and tricks they’ve found to be helpful. Simplicity is about building margin into your life and spending time on and with that which fuels your heart. While we love to share products and services that help us day to day, but simplicity is about HEART and intentionally choosing the thing that matters most (your TREASURE) more than anything money can buy. We wear many hats and we know you do too, so we’d love to hear your thoughts as well!